Summer, glorious summer. I guess technically it doesn’t start until the 20th, but who’s counting. There are farmers markets and farm stands every where you turn, all overflowing with delicious veggies, fruits, and herbs galore. 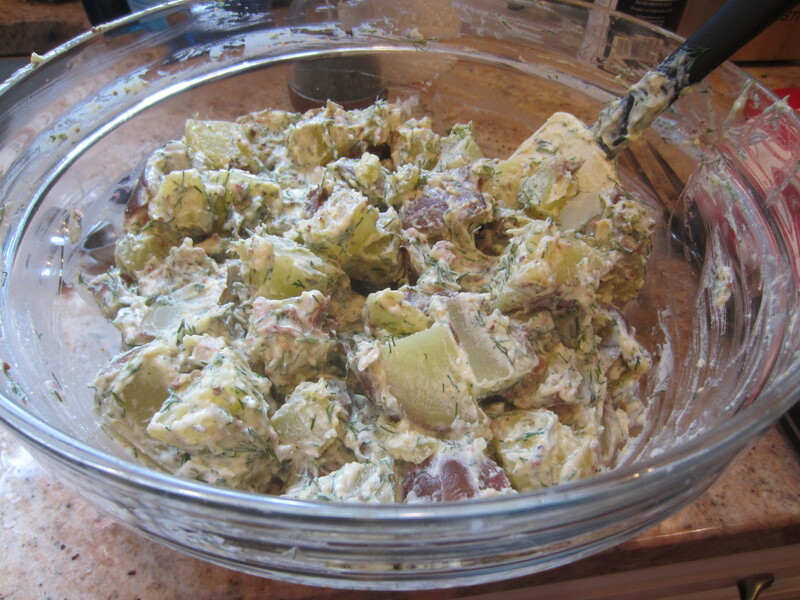 I decided to put my farm-fresh dill into a classic potato salad — really the ultimate summer side-dish. Put the potatoes in a large pot and fill with water until they are generously covered. Bring the water to a boil, and cook them for 20ish minutes or until you can pierce them with a fork without too much difficulty. Drain the potatoes and set them aside to cool while you make the dressing. 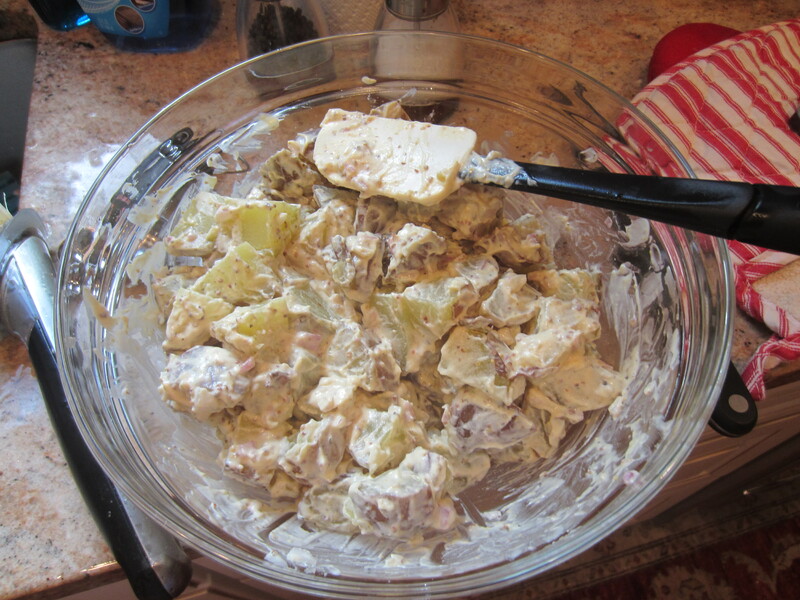 In a large bowl whisk together the mayo, mustard, sour cream and salt + pepper to taste. As soon as the potatoes are cool enough to handle, cut them into bite-sized chunks. Add them to the dressing and toss to coat. Sprinkle the dill on top, give them another toss, and chill in the fridge for at least a couple of hours before serving. 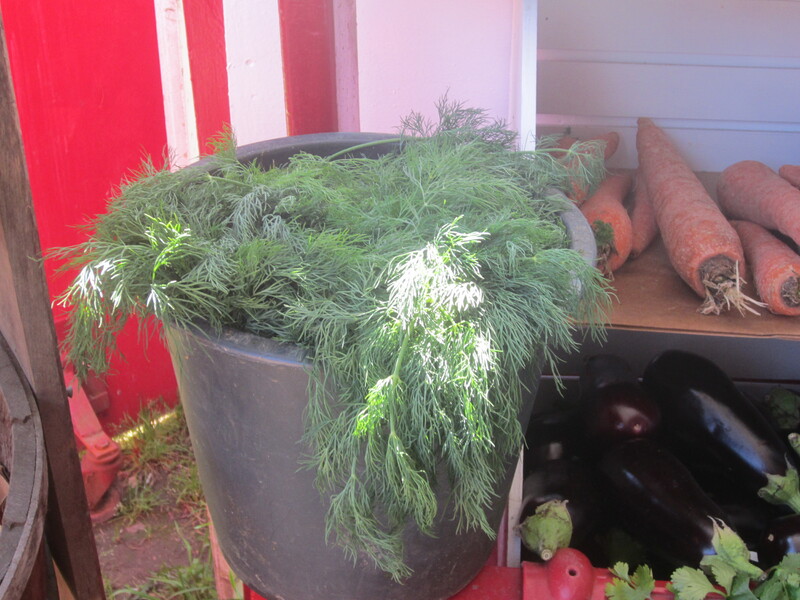 This entry was posted in Dill, Farmers Market Finds and tagged dill, dill potato salad, dinner, grilling, lunch, potato salad, sides, summer. Bookmark the permalink. Yum! Have you ever tried Ina Garten’s version? I think it would be right up your ally! And by ally, I mean alley.